A.W. Perry, Inc. is a relationship-driven real estate investment and services firm. Our established portfolio of commercial and industrial property has been chosen strategically to serve the business needs of our tenants over the long term. We create residential neighborhoods which respond to the needs in our communities. For more than 130 years, A. W. Perry’s hands-on personal approach to tenant satisfaction has been the company’s primary focus. As part of full service management, maintenance and administrative staff, our people are property professionals who take pride in their properties and in their relationships with the people who occupy them. If you are in the market for commercial space, we welcome the opportunity to make you a satisfied tenant. A. W. Perry, Inc. invests in income producing commercial properties as well as in redevelopment and new development opportunities of all product types. We own a portfolio of commercial properties totaling approximately 900,000 square feet and have a significant inventory of developable land on Boston’s South Shore. We seek opportunities to grow our portfolio by acquisition and development and to participate in acquisitions with appropriate capital sources. Greater Boston and New England. Class A or B office and mixed use buildings, including properties with historic rehabilitation potential. Class A or B office, medical, R & D, flex, industrial, retail, and residential. Target investments are in properties with values of $10 to $100 million. Will consider larger opportunities. Seeking value added opporunities through development, redevelopment and repositioning, with an appetite for longer term ownership and potential growth in NOI. Seeking sources of equity capital to invest with Perry’s own capital, with the objective of establishing long-term relationships with investors by demonstrating that our performance makes us a trusted partner. Please contact Bob Maloney Senior Vice President and Managing Director of Acquisitions 617.542.3164 with investment opportunities or to participate as an investor. 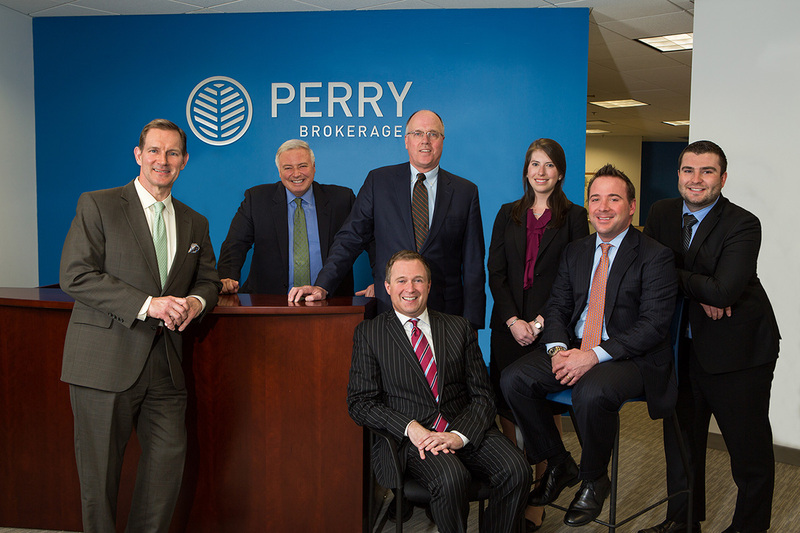 Perry CRE provides leasing, sales and acquisition services, representing landlords and tenants in the Boston, Cambridge, and Suburban markets. Our development team has comprehensive experience managing all aspects of commercial development projects including office, lab, industrial and retail, ranging from 5,000 square feet to over 400,000 square feet. We have guided many projects through design, permitting, financing and construction, and look forward to the opportunity to develop a building for your company. We are actively pursuing build-to-suit opportunities with sites available for development in South Shore Park, Hingham (Rt. 3, Exit 15) and just off Rt.3 at Exit 14 in Rockland and Hingham. 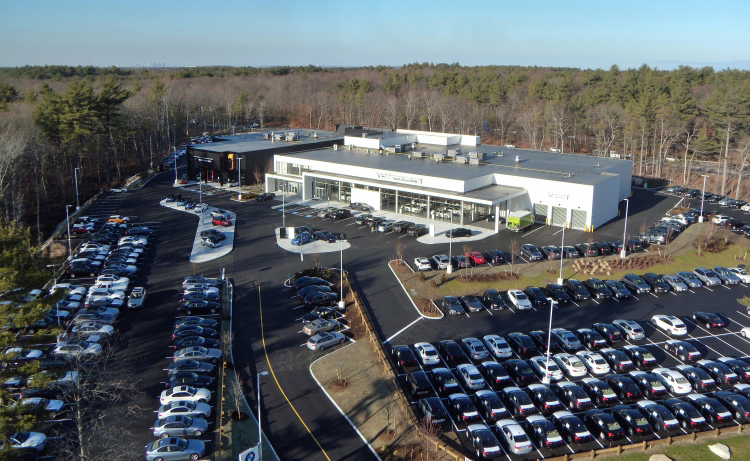 Gallery Automotive occupies this 58,000 square foot standard-setting automobile dealer and service facility with dealerships for Mini and BMW. 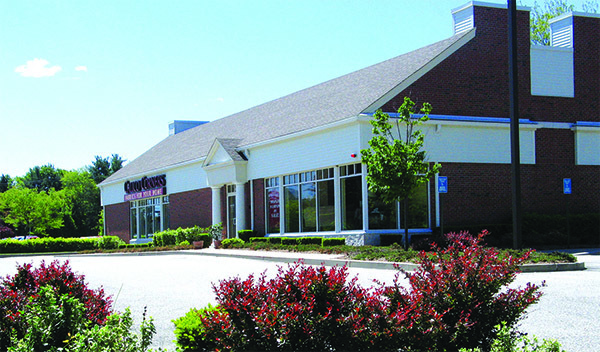 This multi-tenant 78,000 square foot first-class medical building, located at the entrance of the South Shore Park in Hingham, is occupied primarily by the South Shore Hospital’s out-patient center for orthopedics, spine and sports medicine. The facility includes an ambulatory surgical center, diagnostics, laboratories, concussion management, physical therapy and medical practices covering the orthopedic spectrum. Serono EMD, Inc. occupies this award winning 202,000 square foot first class office and lab facility. Perry developed this retail pad site in conjunction with a first-class office building which now houses the executive offices of the Rockland Trust Companies. This 50,000 square foot flex-building houses several light industrial and service tenants which utilize both office and warehouse or production space. Perry managed entitlements, financed, and constructed a LEED-Silver 325,000 square foot building and a 5-level parking garage as a computer and call center for Blue Cross Blue Shield of Massachusetts. Occupied as executive quarters for the Rockland Trust Company, A.W. Perry permitted, developed and managed this 21,000 square foot office building. Incorporating A.W. Perry’s first acquisition in Boston, the Company was the joint venture developer of 125 Summer Street, a 463,000 square foot first-class office building which now overlooks Boston’s famed Greenway. Our success in residential development is a result of careful attention to detail through every step of the process: assembling desirable sites and guiding them through the permitting process, while creating quality living environments which are on the cutting edge of consumer demand. 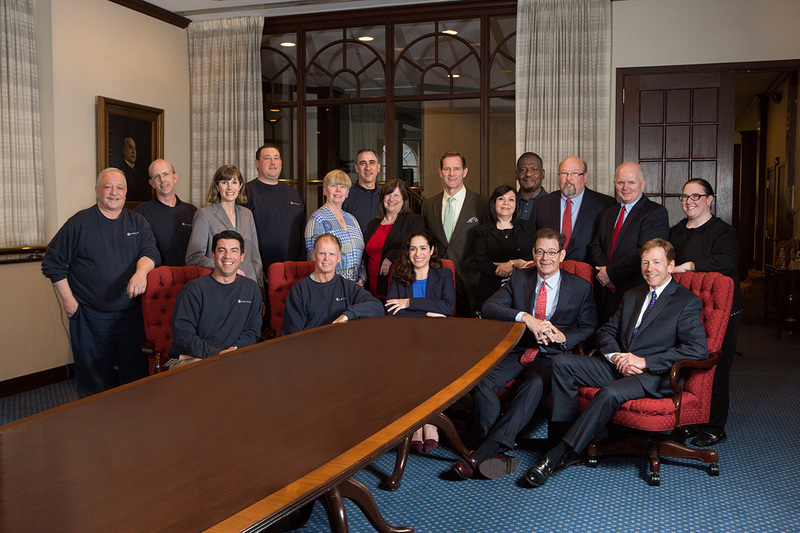 Working together with our long-time partner, J. P. Gallagher Construction Company, the Perry/Gallagher team has created first class residential neighborhoods on Boston’s South Shore for more than 350 families. In doing so, the team has earned a reputation of integrity and fair dealing among municipal officials, our customers and our communities. The Perry/Gallagher Team takes pride in creating value for our customers and communities while being good stewards of the land. If you are looking for a home, we think you would enjoy living in one of our beautiful neighborhoods. 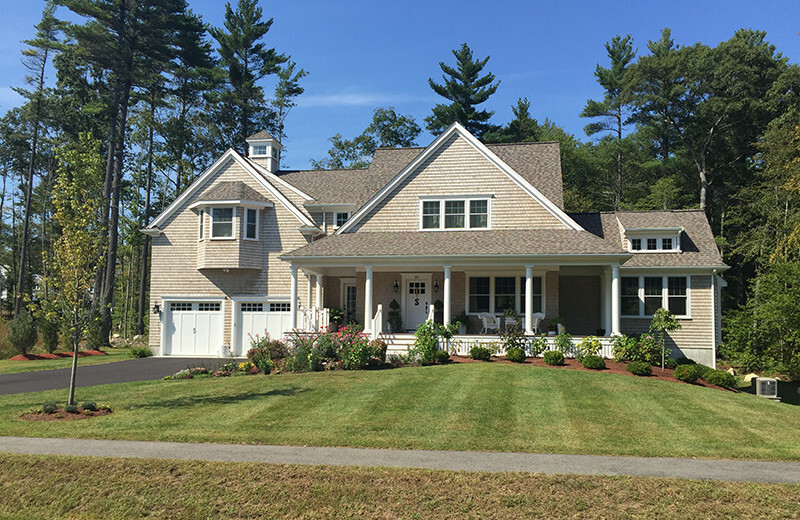 We are currently marketing home sites at Horseshoe Farm in Marshfield and Wildcat Hill in Norwell. These “green” cluster developments are located in two of the South Shore’s most desirable communities and include homes that appeal to today’s buyers looking for high quality, yet efficient and economical living space and many acres of open space. If you have acreage that you want developed responsibly, A.W. Perry is often in the market to purchase land for future projects. We have extensive experience in the rehabilitation and management of some of Boston’s most significant historic properties. Our work has significantly extended the useful lives of these properties, while preserving the character of our city and creating modern office environments which meet the requirements of today’s businesses. 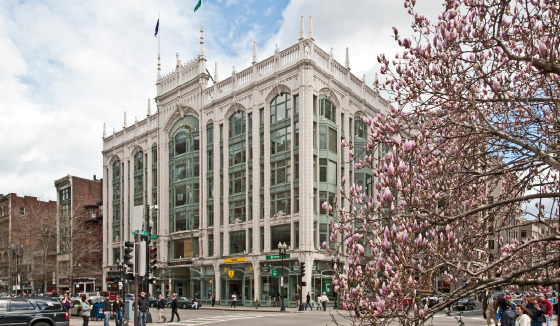 This six-story, 114,000 square foot terra-cotta faced building was built in 1906 and completely renovated by Perry in 1989. 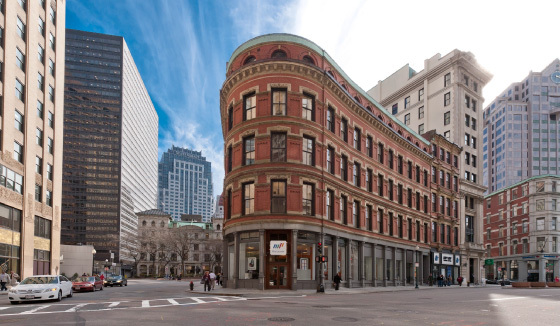 Known as the “Crowned Jewel of the Back Bay”, the Berkeley is listed on the National Register of Historic Places and was granted Landmark status by the Boston Landmarks Commission. Recognized locally and internationally for excellence in historic restoration, The Berkeley offers an elegantly recaptured sense of history, panoramic views of the Back Bay and an inspiring work environment. This five-story, 36,000 square foot office building is situated in beautiful Winthrop Square in Boston’s Financial District. It houses the Company’s headquarters on the top floor. 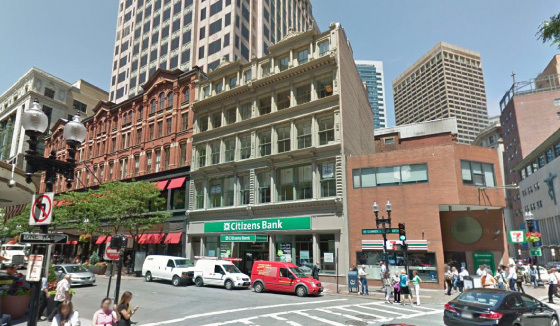 Built in 1873 after Boston’s Great Fire, the building was completely renovated in 1984. Twenty Winthrop Square is known for its brick and limestone façade, which gracefully follows the curves of Franklin and Devonshire Streets. It is listed on the National Register of Historic Places. This five-story, 33,000 square foot office building at 40 Summer Street, built after Boston’s Great Fire, was fully renovated by Perry in 1998. As a result of a land-swap, the Company negotiated the right to access the building through the first-class lobby and atrium of the adjacent 101 Arch Street office tower. The renovation preserved one of the few remaining cast iron facades in the City. We provide consulting expertise to corporate and public entities on a variety of real estate matters, including marketing, permitting, tenant selection, asset management and development. Additionally, we participate as a partner of TRAdvisors (TRA). TRA provides an array of cost-effective solutions in real estate asset management, including serving for 17 years as the exclusive real estate vendor for the Massachusetts Bay Transportation Authority, dramatically increasing net revenue from leases, dispositions, outdoor advertising and communications facilities. In addition to continuing work with public transportation agencies, TRA provides real estate brokerage and development services, with a primary focus on transit-oriented development.